Tween independence is something many parents dread because tweens are quick to announce they are no longer children. Yet, they are not yet ready for teenage independence. Clearly, they are in between! 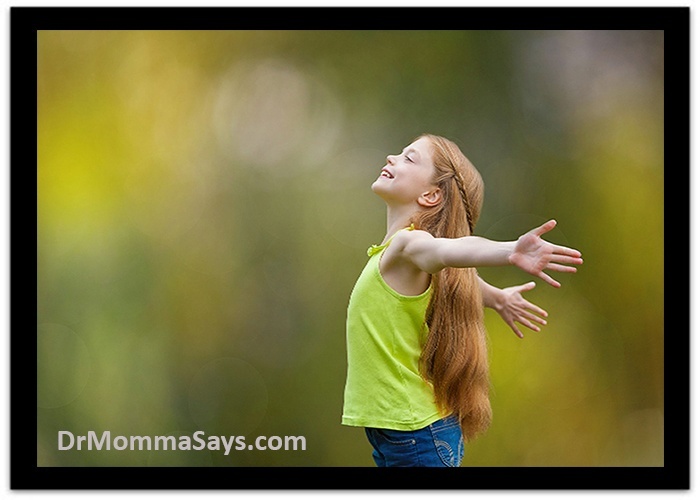 As parents, we need to make a smooth transition into their independence which should start with us no longer doing things they are capable of doing on their own. In my private ENT practice, many parents constantly answer questions for tweens and do not allow tween independence to mature. Parents often only understand the symptoms that they witness; however, tweens spend a great amount of time away from parents. Unless symptoms are severe or occur frequently, tweens often neglect to report. Parents often only understand the symptoms that they witness; however, tweens spend a great amount of time away from parents. Unless symptoms are severe or occur frequently, tweens often neglect to report. It is a very common occurrence that my patients report symptoms that are different from the symptoms that their parents reported. Some parents are offended that this visit is the first time they learned about the problem; however, this is part of the tween independence. They often only report symptoms that they think are serious enough to ask for help. There will come a time when your kids are fully independent and may even become very useful at teaching parents new things, but in the meantime, our job is to prepare them. My previous post highlighted the importance of teaching kids personal information and not simply relying on technology. 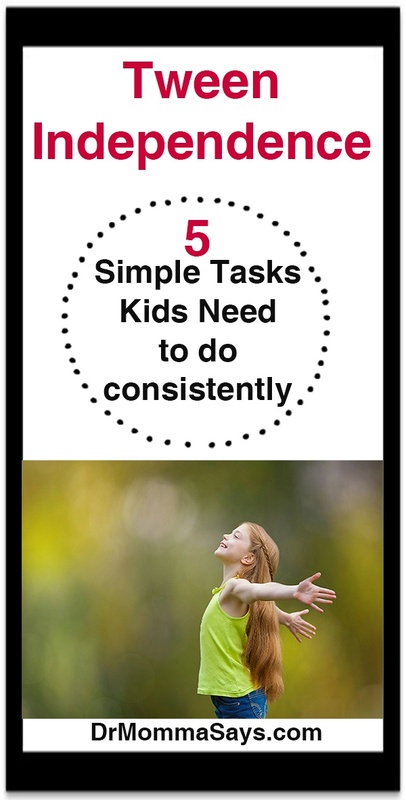 It is equally important to focus on teaching tweens tasks to master as they assert their independence. Yes, I touched on this topic already, but it needs more detail. Parents routinely start to give the history without consulting the child. This is expected and normal for young kids, but tweens are more than capable of expressing their own symptoms. One common area where this occurs is when kids are brought for evaluation of trouble breathing. Daily, I witness parents arguing with kids who tell me they have trouble running in gym class at school. Parents often feel blindsided because they do not know this information and instead of accepting the facts, they feel the need to argue. Why didn’t you bring it up to me? Are you just making this up for the doctor? Please use doctor visits to open a dialogue that may not have occurred yet. 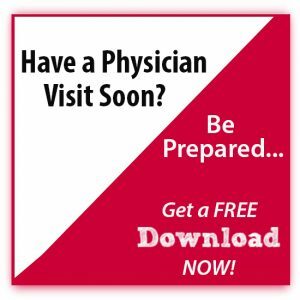 Listen to your child and monitor symptoms going forward. The more you allow your child to discuss their symptoms BEFORE you give the symptoms that you are concerned about, the more you may learn. Kids often do not report symptoms in the way that we would. Listening is key. But, listening entails allowing them to speak! Families tend to be creatures of habit and eat at a small number of restaurants. Kids tend to order the same type of foods from different restaurants. Why are parents ordering for the 11-year-old? By encouraging kids to speak to the waiter, answer questions, decide which sauce or salad dressing they would like, tween independence is occurring. By encouraging kids to speak to the waiter, answer questions, decide which sauce or salad dressing they would like, tween independence is occurring. This is often an opportunity to learn that your child likes other foods that they experienced with friends. My daughters were required to order their simple meal at a very early age. When they asked, “What sauce do I like again?” I simply said, “I don’t remember but you should try one and see if you like it. Then remember it for the next time.” There is no particular need to tell your child what food they like! Kids are quick to point out when we give them food they do not like, so they know what they like. Encourage them to remember for themselves. This will make things easier when they eat out with relatives and friends. This really should go without saying, but many high school and older kids have NEVER made their own bed. Let me repeat that: There are high school and older kids who have never made their own beds. What??? This is a disservice to kids who are not given responsibility for self-care. Do not do this to your child. What??? This is a disservice to kids who are not given responsibility for self-care. Do not do this to your child. I understand that we are the homemakers who cook and clean for the family. However, you must teach your children skills that will allow them to care for themselves and not simply wait for another person to take over your job of caring for them. Although we had a housekeeper come to our home a couple of times each month, we specifically requested that our daughters’ rooms not be cleaned! Yes, this initially angered them when the rule was instituted. But they learned to make their beds and change their sheets while in middle school. 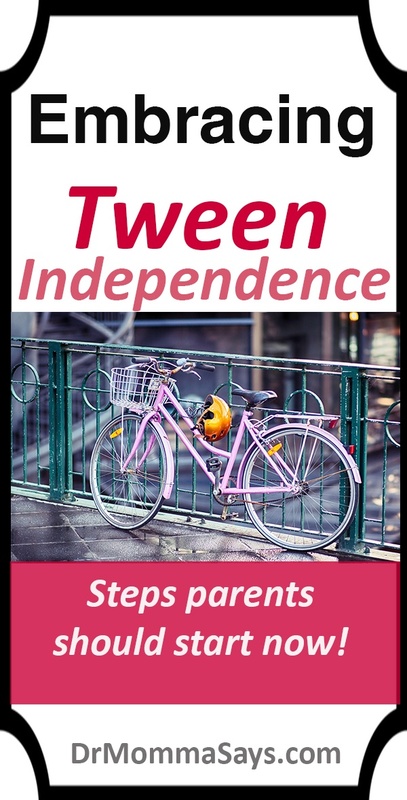 I have never personally experienced a tween pushing for independence in this particular area; consequently, this is a part of their growth process that parents must initiate. 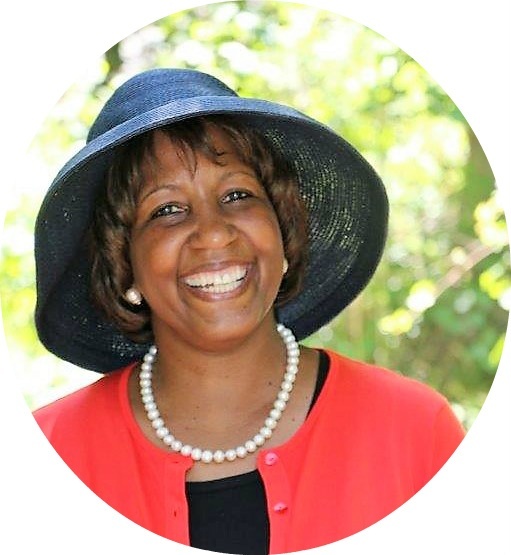 I believe children are stakeholders in the home and need to participate in caring for the family home. Sweeping and vacuuming are also skills that will be useful as they go to camp or college and need to share in housekeeping tasks. If your tween feels mature enough to hang out at the mall and movie theater with friends, why are they not mature enough to learn to sweep and vacuum? This may not sound like a complex task but if you have never taught your child to do this, why would you assume they can? You must walk through the steps of rinsing off the cloth, adding soap, wiping the crumbs into their hands and then putting crumbs in the trash. At an early age, my daughters were required to help clean up after meals, so this task became as simple as tying their own shoes. At an early age, my daughters were required to help clean up after meals, so this task became as simple as tying their own shoes. Yet, I was astounded to hear that my daughter had to teach a peer how to do this when they were in a setting where everyone needed to take turns cleaning. Don’t let this be your child. These are basic life skills that should be mastered and become a normal part of your tween’s life. As you brace for the budding social life independence, at least rejoice in their mastery of life skills. Parents should stop doing these simple tasks and require tweens to master them before moving to the next tween independence hurdle. Parents should stop doing these simple tasks and require tweens to master them before moving to the next tween independence hurdle.